ResTech Plastic Molding is your one-stop solution for plastic design and injection molding manufacturing. 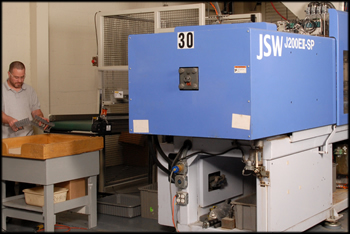 Our team has the expertise, experience and equipment to meet the rigorous requirements of complex plastic molding programs. 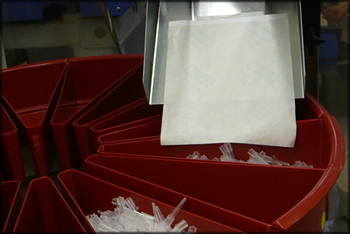 Our injection molding facility offers flexibility in running all types of thermoplastic materials. We specialize in manufacturing products for unique applications as well as for specific industries including electronic equipment, industrial, medical, defense, and transportation. With press sizes ranging from from 80 to 500 tons, ResTech can manufacture components as small as 1.5 ounces up to enclosures as large as 80 ounces. Our skilled team is experienced with critical components with tolerances as tight as +/- 0.0005". We will assist in optimizing and improving your plastic design, to achieve the best possible results for your injection molded components.